In August and September of this year (2017) I spent five amazing and creative days with Barry Goldstein crafting parts and pieces for an album we’ll release on MindGourmet. Of course I didn’t want to miss the chance to interview Barry for you! You find the full-length interview at the bottom of this page, but check out some highlights of our conversation here! 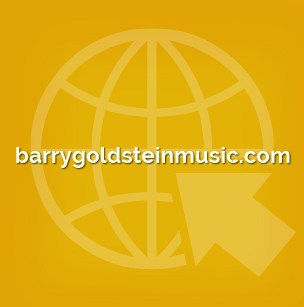 Before choosing the life of the composer and creator he lives today Barry experienced several very stressful years as a musician and record producer in New York. He realized that the fast-paced days he was living made him feel so tired, stressed out and in survival mode that he started to lose his love for music. Instead of composing music, Barry decided, he wanted to start “de-composing” with music. He longed to find his way back to his heart where he knew his love for music originated. Barry started to do some research about music and began experimenting with his findings. He, for example, composed music with 60 bpm, which is the speed of our heart-beat in a relaxed state. He fully immersed himself into his musical creations letting the music come through him and he surrendered to not knowing what comes next and trusting the flow. At the beginning Barry didn’t expect many people to be interested in his new musical experiments and journeys. He went on his musical adventures to connect with himself and the greater power within him. To his surprise these pieces – many of which are now part of his 6 CD “Ambiology” series – became very sought after once people discovered their effect on them. Barry’s new music was utilized not only for personal relaxation and regaining balance, but was also played in hospitals, doctor’s offices and many more places. People started using his music for their meditations, to ease anxiety, to quiet mind chatter and during childbirth. This created a curiosity in Barry to go more in depth with the questions why exactly his music pieces had such a positive effect on people. 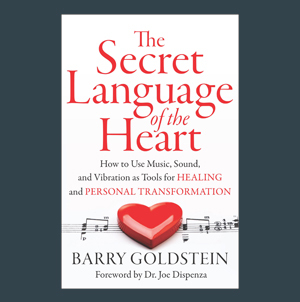 He started to do more research and eventually distilled his findings into his book “The Secret Language of the Heart – How to Use Music, Sound, and Vibration as Tools for Healing and Personal Transformation”. The more research is done on music the more evident it becomes how much it can help with many different forms of dis-ease and dis-comfort. Music proves to be a very effective tool for maintaining equilibrium, which ultimately leads to greater health and more energy. It is especially helpful in getting brainwaves out of high-beta stress patterns and into slower, more relaxed brain states that enable you to relax, get creative, connect to your heart and essence, and also increase your sleep quality. Barry created the term “Acousticeuticals” for music pieces that carry the ability to contribute to people’s well-being and healing. He says the power of music goes far beyond art and entertainment. Research shows that music has the ability to help alter your brain wave patterns, lower your heart rate and stress hormones, increase your dopamine levels and more. “To put our bodies into a state of healing we want to be producing those hormones that are beneficial to us”, says Barry. “More and more research is pointing towards music to be able to do that”. Barry loves to redefine how we look at music. He compares the body as a whole to a symphony of sound, and our heart is the orchestrator. Our heartbeat sends out signals to the rest of our body and is in constant communication with it. As we move into more coherent states like kindness, gratitude and compassion, we get into these smooth, orderly heart patterns. If you think of your heart as the conductor of your orchestra, it’s setting the pace and the time for the rest of the instruments so they can follow in that same time. Our breath is also creating a rhythm in our body as it goes in and out. Slowing our breath down has the ability to move us into a parasympathetic state – that’s when our autonomic nervous system goes into a state of relaxation, a state of calm. Our hearable breath out, the sigh, is a way to release tension and stress in the physical body so it can move to that state where our heart produces these harmonious rhythms which then positively influences the rest of our other systems like our digestive system and our immune system. Most disease starts from stress, says Barry. By addressing stress on a daily basis and becoming more aware of how we can be part of our own healing we can induce more relaxed states. Then our body does what it most naturally can do: it gets into a higher state of relaxation and rejuvenation. You can find a very detailed description of Barry’s breathing technique in the chapter “Divine Breathing and the Power of Sigh”. Music creates feelings and activates memories. “We all have the ability to become our own DJ’s” and instead of experiencing music on a random basis we can choose it deliberately to move ourselves into elevated states. We all have the ability to create playlists to target inner peace, joy, enthusiasm, gratitude, motivation etc. Listening to your playlist (or playlists!) on a daily basis (and whenever you need them) trains you into these vibrational states of being. This part of the book provides information related to a variety of health conditions including autism, cancer, dementia, depression, stress, ADHD and more. There’s even more information in the Interview! – The creative process of writing a book compared to composing music. – The importance of nurturing your creations and the metaphor of the balloon. – “Pet Waves” – musical creations for cats and dogs and how Woody, Barry’s dog, found his Goldstein family. – Find out what Barry would ask Mozart if he had the chance to meet him! and his book “The Secret Language of the Heart” in our interview! 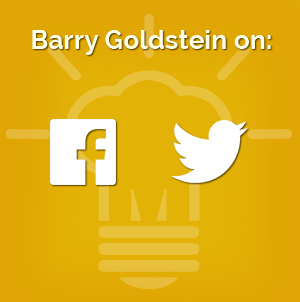 Are you Interested in knowing more about Barry Goldstein?